Tehran is currently struggling over foreign investment in Iranian oil. With oil giants jumping to invest in Iran, some hardliners seem to be displeased. Basijis reportedly gathered in front of the Oil Ministry in Tehran to “protest the terms of a proposed contract that would permit foreign oil companies to help revitalize outdated wells and infrastructure. The proposal amounted to ‘the plundering of national wealth,’" protesters shouted. At least 20 protesters were arrested by riot police, while others were beaten. Around the same time, Iranian oil officials canceled an oil summit in London. It was postponed several times in the past, however, rumor has it this time it was due to an inability to secure visas since the UK Embassy visa section has not yet been opened. On another note, President Hassan Rouhani stated there is no problem with U.S. firms entering Iran. This isn’t the first time the Iranian president made such comments. Check out this great Iran elections update. Iran’s Foreign Minister Mohammad Javad Zarif arrived in London on Thursday to attend Syria aid conference. It was the first time that an Iranian foreign minister visited the United Kingdom in 12 years and comes after both countries renewed ties with the reopening embassies. Zarif called on the U.S. to ease the concerns of European banks looking to trade with Iran during an event at Chatham House. He said, “Rebuilding the confidence of the banks that the United States will not re-intervene in their relations with Iran may require some further assurance from the United States. We don't need any more legalese--we need clear precise assurances that banks can do business with Iran.” The foreign minister added, "I hope that is fast coming because if not it would be a problem of implementation." The U.S. House of Representatives passed legislation to restrict President Barack Obama’s ability to lift sanctions per the Iran Deal. About three weeks prior, the House attempted the vote for the Iran Terror Finance Transparency Act (H.R. 3662) only to postpone it since not enough lawmakers showed up to cast their vote. Even if the legislation is passed by the Senate, President Obama announced he would veto the bill. Meanwhile, the recently passed visa waiver program law prevented a German-Iranian professor from entering the U.S. to attend a conference. Yesterday, Hillary Clinton and Bernie Sanders sparred over the timetable for a relationship with Iran during the Democratic Party presidential candidates debate at the University of New Hampshire in Durham. So how would Ted Cruz or Bernie Sanders fare in Iran? Apparently Sanders is the Iranian leading favorite at the moment. 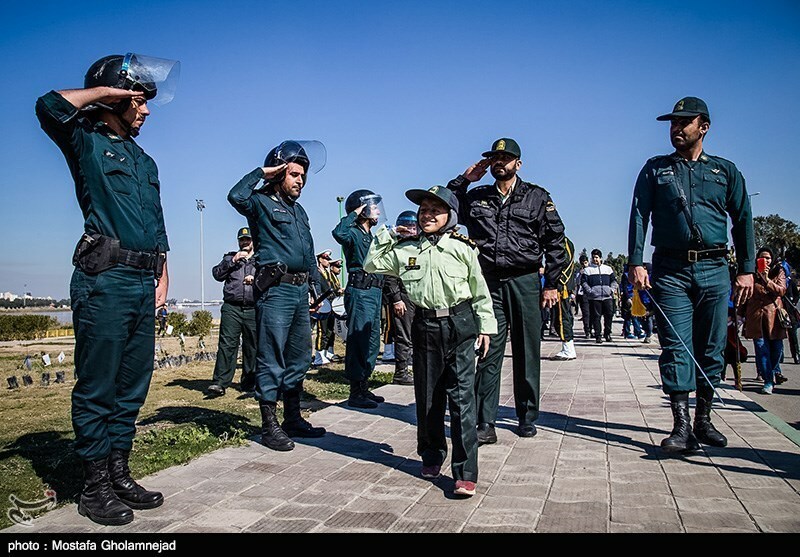 A 12 year-old boy from Ahvaz fighting neuroblastoma cancer was granted his wish to become a police officer for a day. -- Nobel Laureate: Yes, Iran released 5 political prisoners. 800 more languish in jail. -- Researchers call on Iran to release jailed chemist. -- The U.S. Department of State updates its travel warning for Iran. -- U.S. federal judge orders explanation of prisoner involved in Iran prisoner swap. -- FBI launches Persian Facebook page to help find Robert Levinson. 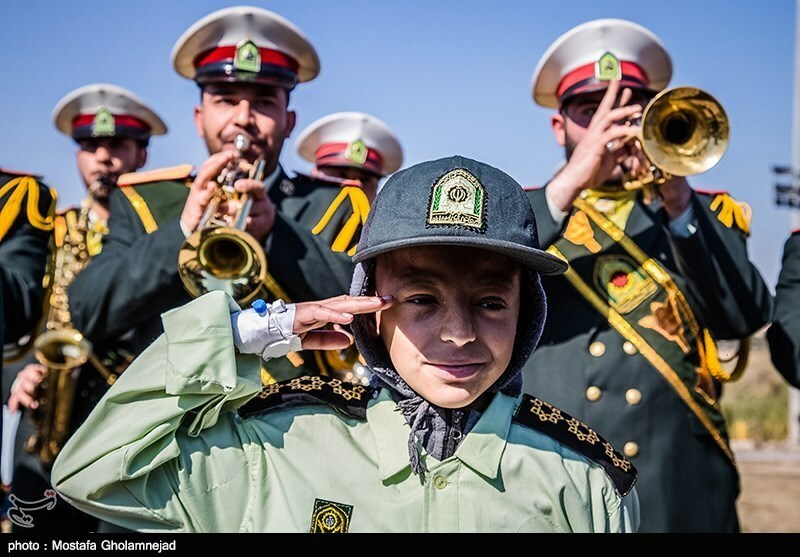 -- Khamenei pins ‘medal of conquest’ on commanders who detained U.S. sailors. -- Iranian surveillance drone flies over U.S. aircraft carrier in Persian Gulf. -- Three U.S. Republican lawmakers seek to make 'inspection' trip to Iran. -- Iranian spies tried to entrap journalist Azadeh Moaveni at Pret a Manger. -- 6 fashion models were arrested in Iran for not wearing hejab on their Instagram. 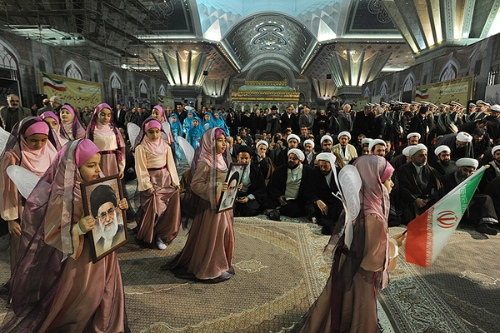 -- Iran’s Instagramming imams are a surprisingly big hit. -- SWIFT return to international bank transfers for Iran’s banks. -- Nuclear inspectors have snazzy new tools to catch Iran cheating. 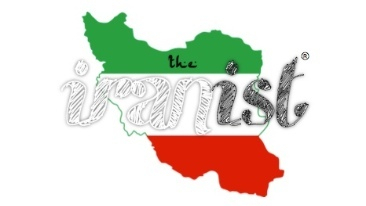 -- How Telegram messaging app is changing Iranian media. -- Heinz or Delpazir: the state of Iran's homegrown industries. -- Magnum photographer talks about recording his native Iran during the revolution. -- How one Iranian religious singer is showing his support for Syria fighters. -- Will Saudi's cut to trade with Iran really matter? -- You won't believe what this Saudi blogger has to say about Iran. -- Iran anticipates saffron sales will soar after lifting of sanctions. -- Carpet stores in Westwood are benefiting from the Iran Deal. -- Next U.S. president won't risk crisis by scrapping Iran Deal. -- New poll says Iranians like Foreign Minister Zarif, dislike U.S. government. -- Talking about Tehran on Capitol Hill should not be a boys’ club. -- Academy Award-winning director Asghar Farhadi filming ‘Forushande’ right now. -- Help Leili Farzaneh make a short on the 1953 coup, based off a leaked CIA file. -- Iranian-American comedian Maz Jobrani has a new trailer for ‘Jimmy Vestvood’. -- Several of Iran's B&Bs and inns win TripAdvisor's 2016 award. -- In case you're wondering... Here are the top five Persian restaurants in London. -- Iranian women are exercising their passion for rock and ice climbing. -- Iran’s dynamic underground art scene. The Grey Art Gallery at New York University has an art exhibition entitled, "Global/Local 1960–2015: Six Artists from Iran" from January 12th until April 2nd. Iranian American Council is hosting, "Saudi-Iranian Relations: Sources of Conflict and Prospects for Reconciliation" with Dr. Andrew Scott Cooper in New York on February 8th. Delegations for Dialogue is providing the opportunity to travel and get educated at The Iranian Heritage Symposium in Iran from February 27th - March 6th. The Iranian-American Women Foundation is hosting a Women's Leadership Conference in San Diego, California on February 28th. Special thanks to Bilal Zenab Ahmed for editing.